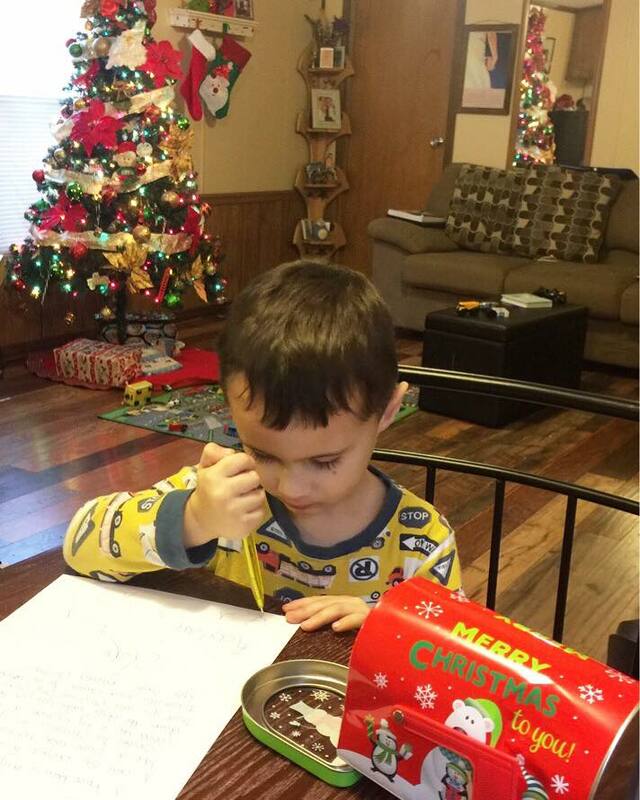 1) Raylan's letter to Santa has officially been wrote for Christmas this year. He was so excited to write it and mail it. Christmas is going to be so much fun with him. 2) Raylan has also been receiving mail this week. He received some Christmas Cards, books and a light-up rudolph nose. He was really excited to find some packages addressed to him when he checked the mail. I love how he is really getting into the Christmas Spirit. 3) Rowdy the Elf on the shelf showed up last friday, and Raylan was thrilled. He gets so excited to see what Rowdy has been into every morning. I really love this age that Raylan is right now. It is so much fun and Christmas can really be magical. 4) I had a Candy Cane Blizzard this week from our local Dairy Drive In and it was simply amazing. I love all of the delicious treats during the holidays. What are you favorite holiday sweets? I love anything peppermint and I especially love McDonald's holiday pies. 5) I have downloaded a new book for Christmas. It is A Winter's Tale by Carrie Elks. Have you read it yet? I love reading, especially during colder weather. There is nothing better than curling up with a good book and a cup of coffee or hot cocoa. This week's featured blogger is Danielle from Sparkles and Lattes. Danielle is a wife and mom to identical twin girls. She has a great blog and has an awesome Christmas gift guide for men up on her blog that you need to check out. Please stop by and say hello to Danielle.